These women from the NWU’s campus in Mahikeng were recognised and awarded by various professional and academic platforms. Chiedza Tsvakirai was appointed by the National Coordinating Body of the United Nations Convention for Combating Desertification (UNCCD). 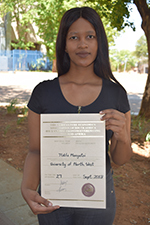 Thatho Moagi was awarded the Orange Knowledge Programme (OKP) fellowship by the Netherlands Government, and Temitope Olorunfemi was awarded The Most Scientific Paper Award at the 2018 South African Society for Agricultural Extension (SASAE) conference. Tlotlo Monyatsi was announced the Best NWU Final-Year Student by the Association for Agricultural Economists in South Africa (AEASA). Chiedza, a lecturer in the subject group, joins the National Coordinating Body to offer her expertise in monitoring and evaluation of the UNCCD’s National Action Plan. She has previously served on task teams that advised Department of Agriculture Forestry and Fisheries (DAFF) on policy development and the Department of Science and Technology (DST) on implementation plans. “I am honoured, excited and looking forward to working with such a prestigious organisation,” says Chiedza. The OKP fellowship from the Netherlands Government will facilitate Thatho’s participation in a short course on market access for food and nutrition security. It will take place from 26 November to 14 December at the Wageningen International Congress Centre in Wageningen in the Netherlands. The short course is one of a series of 15 training programmes. These programmes aim to advance the development of the capacity, knowledge and quality of both individuals as well as organisations in the field of higher and vocational education and in other developmental themes. “I am delighted to take part in this programme that will help to build my career,” says Thatho. 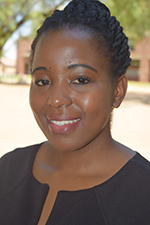 Temitope, a doctoral student in the field of agricultural extension, presented a paper at the recent 2018 conference of the South African Society for Agricultural Extension (SASAE). She received the award for presenting the Most Scientific paper at the conference. The paper gave insight into the attitudes and challenges of extension agents towards their expected performance of commercialising small-holder farmers’ production. She also gave recommendations that will facilitate an improvement in extension and advisory services rendered to farmers. Temitope is currently concluding her doctoral research which focuses on scaling-up farmers’ adoption of climate-smart agricultural practices for sustainable productivity and food security for all. 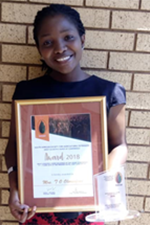 Tlotlo received the Best NWU Final-Year Student award from the Agricultural Economist Association for South Africa (AEASA). “I am just happy that all the hard work paid off, and I advise all women to study hard – your efforts will yield good results,” says Tlotlo. 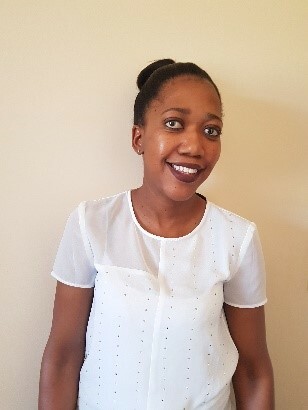 She is currently doing an internship with the North West Department of Rural, Environment and Agricultural Development while she furthers her studies at the university.